One of the most basic types of systems and applications found in pneumatic valves are flow control valves. These type of valves are used in several different ways, and they offer two configurations. The first configuration is a variable restriction. Variable restriction valves are outfitted with a component that controls the pneumatic valve. One example of the control is that it opens and closes the valve. A needle valve is one example of this configuration type. The second configuration is a valve that controls the direction of liquid flow. However, it only controls the flow in one direction. This configuration type of valve is similar to a check valve because it restricts flow in the opposite direction. Flow control valves are incredibly versatile. 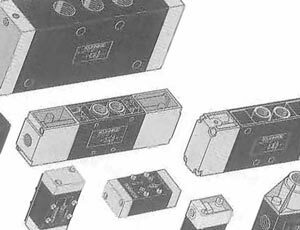 Directional and restriction valves are available in several sizes, styles, and configurations. These types of valves work with all kinds of pneumatic systems. Before deciding which configuration you should purchase, you must understand your application. The industry you work with will determine which configuration works best for your needs. Make sure that you buy a product that fits your wants and requirements. The level of your application is the most important aspect. The level will determine the valve required. For example, check valves work best with simple applications. One more basic of pneumatic valves is a pneumatic solenoid valve.